Great American Beer Festival 2017 is a wrap! And it was another awesome, impeccably organized event, thanks to the Brewers Association, sponsors, volunteers, and the 800+ breweries from all over the country who brought over 3,900 beers to share with 60,000 eager beer lovers. GABF isn’t merely hundreds of booths pouring beer. It’s a competition. It’s seminars, talks and hands-on learning experiences. It’s meeting and interacting with brewers. It’s the Beer & Food Pavilion, Brewpub Pavilion, Brewers Studio Pavilion, CraftBeer.com #BeerTravel Pavilion, The Backyard, Protect Craft Guilds Pavilion, and much more. Met these good dudes from The Bruery. Bruery Terreux won a a silver medal for Train to Beersel! But when it comes down to it, it is all about beer. And here in Colorado it goes without saying that this great state produces some of the best beers in the country. 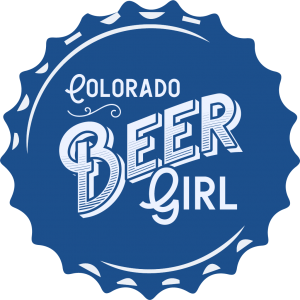 While I’m very well aware of this, I must admit I was a bit surprised that more than half of my personal favorites from GABF this year were Colorado beers! And that’s no small feat, considering there were nearly 4000 beers there! Regrettably, I wasn’t able to sample all 3900+ beers. If only the festival was longer! But I had as many as I could responsibly taste and enjoy. And of those, I ended up with 11 that were true standouts of everything I tried. I attempted to narrow my favorites down to 10, but in the end there wasn’t one I could boot off the list. Read on for my Top 11, six of which are from Colorado! Oude Tart is already one of my favorite sours, but the addition of raspberry was the clincher. It tasted even more tart than usual, and the raspberry was so prominent. Delicious! This is the first grape sour I’ve had. And when I saw it, I wondered ‘why hasn’t anyone done a grape sour (that I’ve come across)? !’ Grape up front, a little funkiness on the back end. Amazing. Strong imperial stout aged in rum barrels with hints of coconut, vanilla and cinnamon. One cannot go wrong with this flavor combination! I’m a huge sour fan, and I’m pretty finicky about them. I stopped by City Star and tried the Scoundrel on a whim. What?! It’s really, really sour. Wow. Back for another! Part of its Wood Cellar Reserve series, Blackberry Oscar is a phenomenal sour. And Leopold’s is one of the top distilleries in Colorado. I love the whiskey itself, so when a brewery ages a beer in its barrels…look out! This was my first Jessup Farm beer. So. Much. Chocolate! Rich and savory. This could be my new dessert beer. Pretty sure I’d only ever had IPAs from Boneyard; I was so impressed with this beer! Thick, flavorful…everything a barrel-aged barleywine should be. So many people down on pumpkin beers. But I’ve always been a fan of dark pumpkin beers, and this one blew me away! I’ve been drinking Bigfoot for years; it’s an excellent beer! But aged in red wine barrels…? Gives it that little bit of extra smoothness and complexity. This one made my list again this year. I know Weldwerks has many, many awesome dark beers. This one is just my favorite: two of the best flavors ever, coffee and maple, in an extremely well-done imperial stout. I love Avery barrel-aged releases…stouts, sours, you name it. But I didn’t make it up there during this brewery-only release. Imagine my delight when I found it at GABF. So sour…everything I could have hoped for! Colorado breweries swept all 3 Pro-Am categories: Gold: Denver Beer Co. Silver: Black Bottle Brewery. Bronze: Odell Brewing Co. 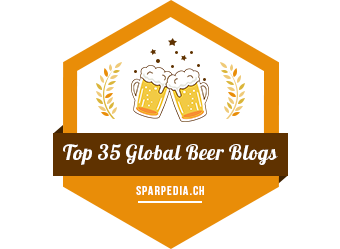 This year there were 98 beer categories, covering 161 different beer styles (including all subcategories). 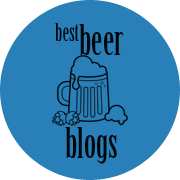 Winners were chosen out of 7,923 competition entries from 2,217 breweries in 50 states, plus Washington, D.C. Colorado won a total of 39 medals (38 breweries)! Rockyard American Grill & Brewing Co. Previous Post Find Your #HoppyPlace at Great American Beer Festival 2017!